The CHANEL ONLINE OUTLET BAGS store has been permanently closed down by Order of a United States District Court, which resulted from a lawsuit that was filed against the owners and operators of the Chanel online replica bag outlet store. The Court found the replica Chanel outlet to have been offering illegal products. The products included replica Chanel items which were counterfeits being illegally produced, distributed, promoted and sold online. Anti-counterfeiting laws protect both the creator and the consumer. When a creator designs a new product, the creation is registered as a patent, trademark or copyright. The registration gives the creator and owner the exclusive rights to produce, manufacture, distribute, promote, sell and license the product. This means that any person who infringes on the creator's legal exclusivities may be subject to criminal prosecution and civil suits. 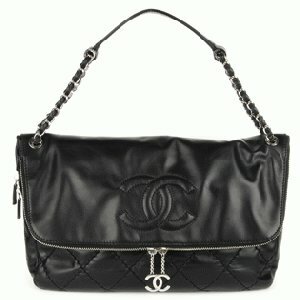 Replica Chanel bag outlets are often run by wrongdoers who ignore the registered rights of creators and owners. Replica outlets online are often run by large-scale criminal organizations who take a creator's unique inventions and designs without permission to make profits for themselves. These activities are purely against the law. In turn, the laws that have been set in place also work to help protect consumers from such outlets attempting to take money from consumers in exchange for illegal products. Replica traffickers generally have no regard for the laws nor the brands. Replica outlets often have no misgivings about the consequences of their counterfeiting activities, nor about how fakes might negatively affect a brand. Purchases made from replica online outlets could contribute to the erosion of brand equity, consumer confusion or even doubt about the creator. If a consumer buys a replica bag which was mistaken for the real thing, the fake in hand is likely to be something of extremely substandard quality and unjustly induce a negative impression of the brand. Over time, in some situations, the brand itself might begin to unreasonably lose the well-deserved trust, reliability and loyalty established over time. To everyone who cares about preserving the well-earned integrity of their favorite brands, it is of topmost importance to make every effort to settle for nothing but the authentic. It is widely held by legal systems world-wide that purchasing replicas for resale or personal use is an act of conspiring with criminal organizations to proliferate serious crimes. Authorities in some regions aim to and continue to criminalize the purchase of replica products. Knowingly purchasing a fake would result in the prosecution of buyers with penalties of jail terms and $1000's in fines. Being sure to avoid replica handbags outlets can help curb the perpetuation of crime.